Please click on this link for an important message! 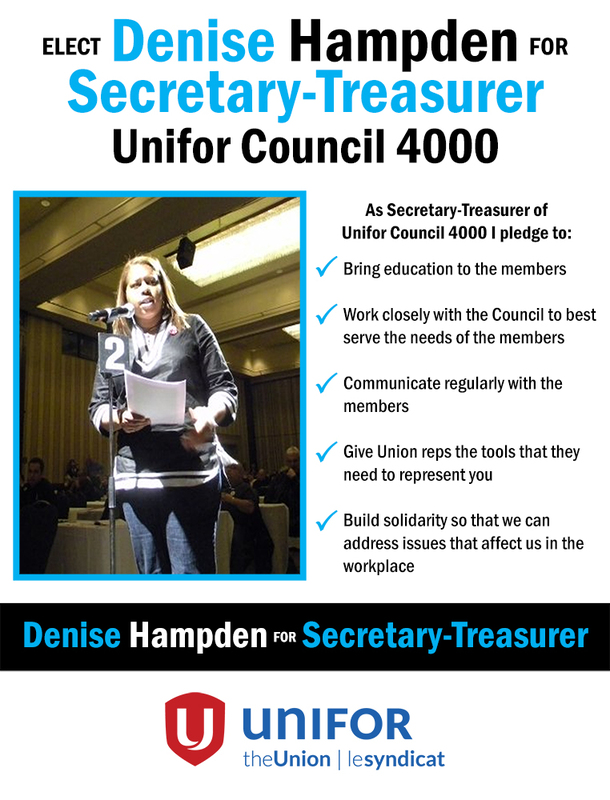 Elections are now underway for the full-time position of Secretary Treasurer and the 7 full-time positions of Regional Representatives for Unifor National Council 4000. Ballots were mailed April 2 and must be returned on or before May 1st. If necessary, a second round of voting will begin on May 25. Below is an alphabetical list of the candidates running for positions. Click on the available links below the candidates name to access the election brochures/information that they supplied. 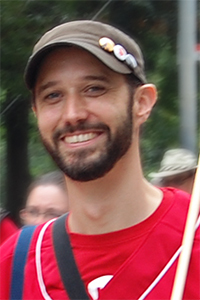 Danny is currently the Regional Representative for Unifor Council 4000 responsible for servicing of the Local 4003 VIA Rail membership working under Agreements 1 and 2, and the Local 4004 membership at VIA Rail working under Agreement 2. He is employed with VIA Rail Canada. 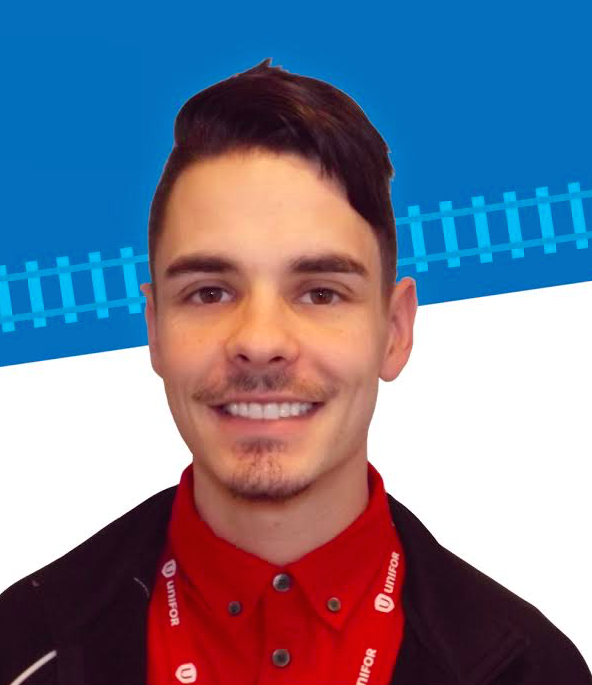 Kevin works at VIA Rail Canada in Montreal, Quebec. Sacagawea works at Canadian National Railway in Montreal, Quebec. I currently work in the Accounting Department. The duties and responsibilities of the Secretary-Treasurer encompass my over 30 years experience in accounting, payroll and bookkeeping. 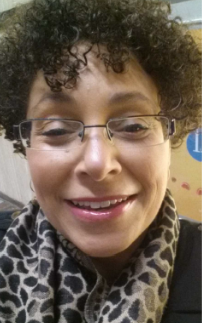 I have worked for several years as an Executive Administrator for the Board of Directors and Executive Committees where I acquired extensive working knowledge and organized monthly meetings and the annual meeting of the Board of Directors. I am a veteran in record-keeping, expense reports, T4 Summaries, proper accounting systems and filing reports to Federal or Provincial authorities which means I can “hit the ground running with my boots on”. Community involvement and education are important to me. I began volunteering in my teens and am an active volunteer in several charities to this day, thanks in part to my Grandfather, a retired VIA Rail and CN Railroader. A lifelong learner I continued my education and graduated with honours in finance and keep up-to-date by attending workshops and conferences. 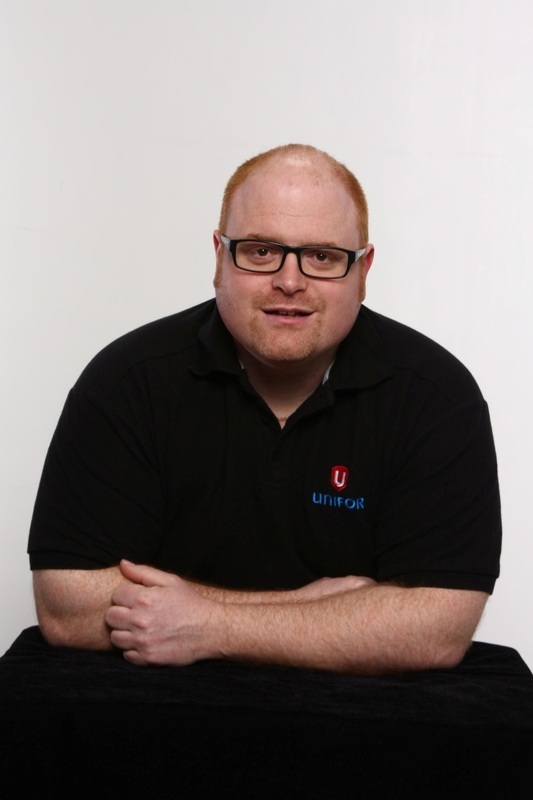 I am an active member of the Unifor United Workers of Diversity Committee and if elected you can count on my experience, enthusiasm, education and passion to do my best every day. I have been a proud member of the CBRT&GW, the CAW and now Unifor for 28 years. For 26 of those years I have represented the membership at VIA Rail in just about every elected position within the Local Union. 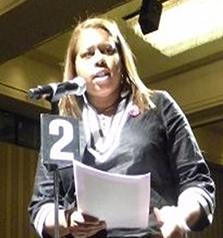 I am active on a National level of the labour movement, attending Council meetings, provincial federation and Canadian Labour Congress events. I have also been involved at all three levels of government assisting to get candidates elected to office. I facilitate courses for all three organizations and am called upon regularly to be a guest speaker and share my expertise on the labour movement. Accountability, reliability and credibility are key components of the job of Secretary-Treasurer of Council 4000. I will be open and available to the members and I believe that communication with the members is key to building a stronger union. I am committed to these ideals and if elected I will ensure that these are integrated into the position of Secretary Treasurer. Some people get involved in the Union because they want to be something. I got involved and remain involved because I want to DO something. I thank you for your consideration and support. Jean-Robert works at Canadian National Railway in Montreal, Quebec. JOE STIVALETTI asking for your support for SECRETARY TREASURER. 15 years service @ Brampton Intermodal Terminal. 30 years as a good standing member with the Toronto Real Estate Board. With honesty, integrity, reliable and hard working!!!!!!!! Kendall works at Canadian National Railway in Brampton, Ontario. Sirage is a CNTL Owner Operator based in Edmonton, Alberta. 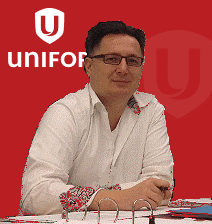 Elections are now underway for the positions of Regional Representative for Unifor National Council 4000. I am seeking the support of our Unifor Council 4000 CNTL membership to re-elect me to serve a second term as the Regional Representative responsible for the various servicing of our CNTL membership from coast to coast to coast. If you have any questions, please do not hesitate to email me and I would be glad to answer them. I look forward to your support! Monty is a CNTL Owner Operator based in Winnipeg, Manitoba. Carey works at CN Intermodal in Brampton, Ontario. Rayman works at CN in the Crew Management Centre at MacMillan Yard in Concord, Ontario. 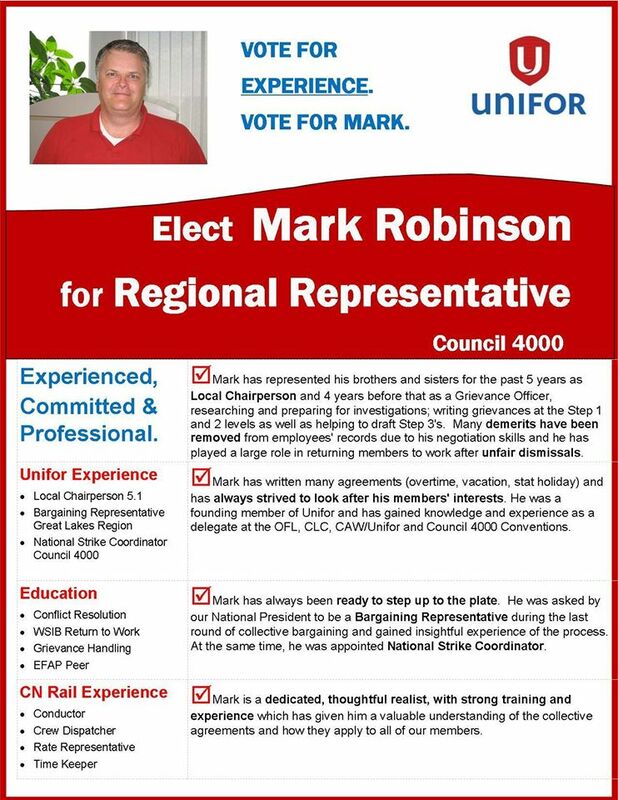 Mark works at CN in the Crew Management Centre at MacMillan Yard in Concord, Ontario is currently the Local Chairperson for the Unifor Local 4003 Agreement 5.1 membership in the Greater Toronto Area and in Sarnia, Ontario. 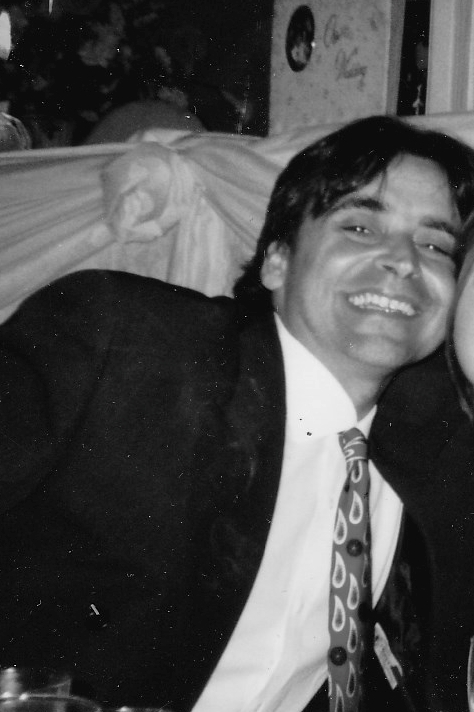 > Read more about Mark and his campaign here. 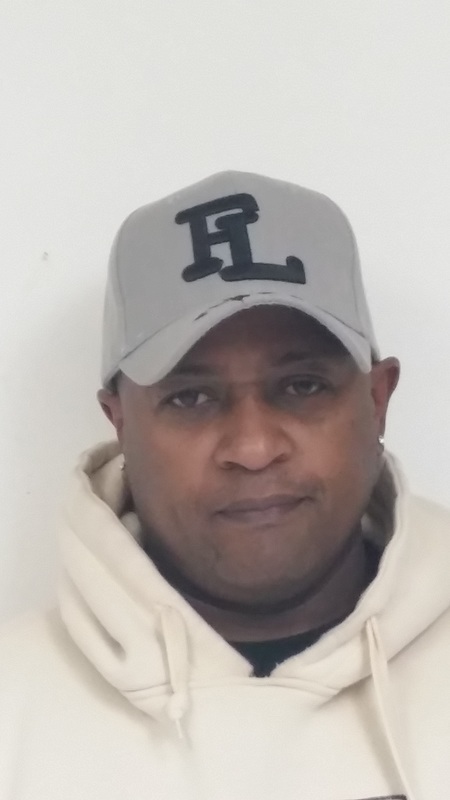 Barry works at CN Intermodal in Brampton, Ontario. Norman works at CN Intermodal in Brampton, Ontario. Servicing members at VIA Rail Agreement 1 in Ontario and VIA Rail Agreement 2 in Ontario and Quebec. 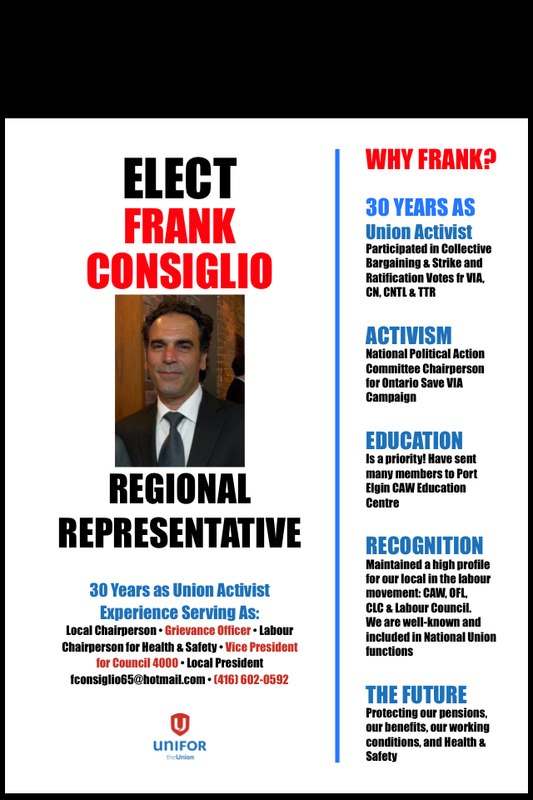 Frank is currently the Local President of Unifor Local 4003 and works at VIA Rail Canada. 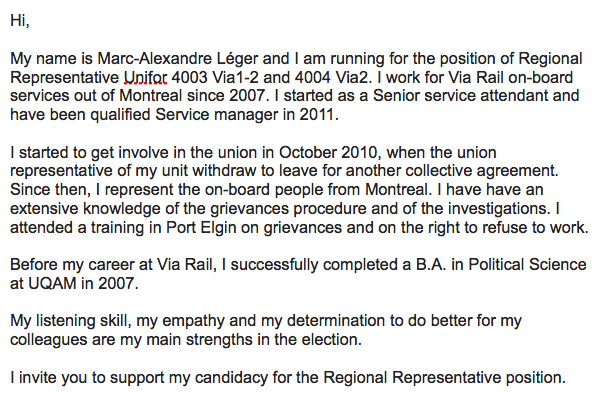 Marc-Alexandre Léger currently works at VIA Rail Canada and is presently the Local Chairperson for the Agreement 2 Unifor Local 4004 membership. 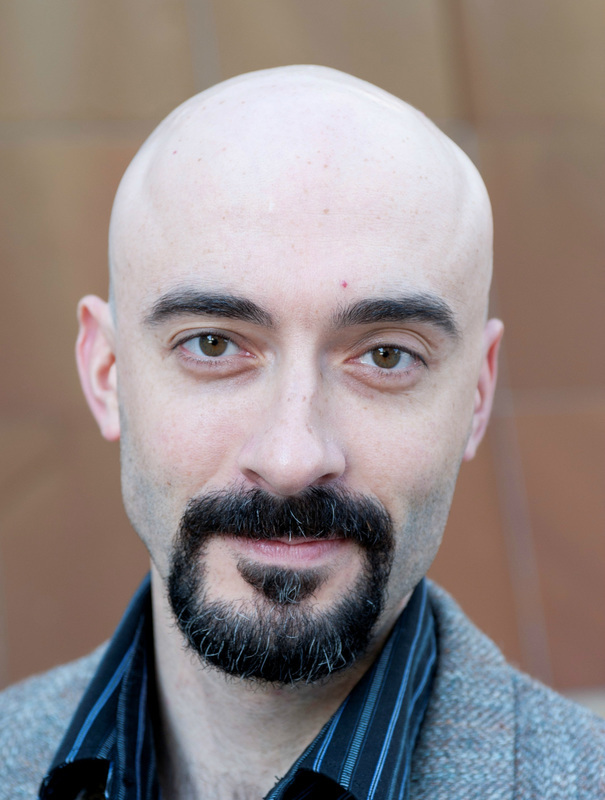 Andrew has served as Local Chairperson for VIA Rail Agreement No. 1 in the Great Lakes Region for the past five years, and was Grievance Officer prior to that. Andrew's experience and his training in Political Science and Human Resources set him apart as a candidate in this election. 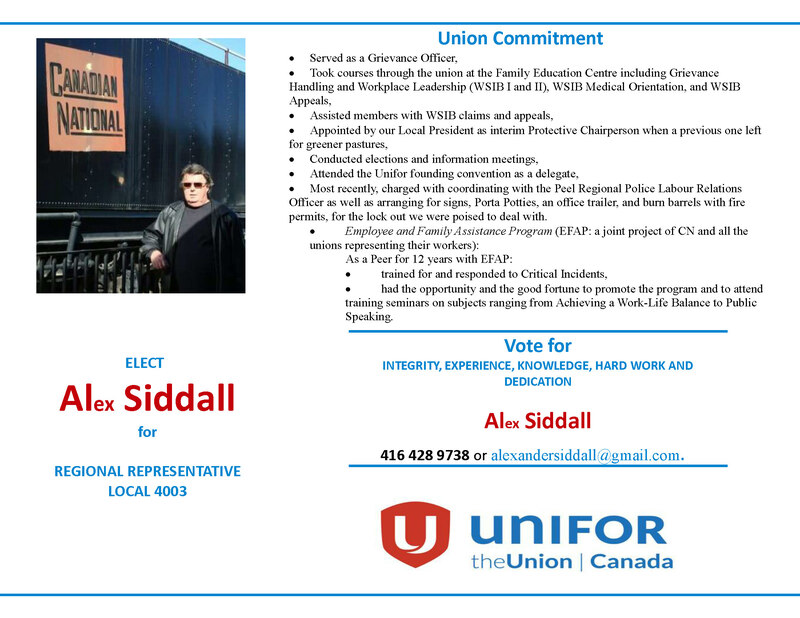 His vision is to build a strong and united membership by increasing consultation with rank-and-file members in developing demands, during the bargaining process, and at all other times in the life of our collective agreement. 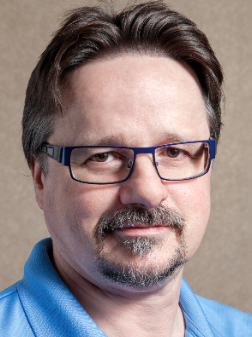 Serge is currently the Regional Representative for Unifor Council 4000 responsible for servicing of the Local 4004 CN membership, and VIA Rail membership working under Agreement 1. He is employed with VIA Rail Canada. Aoun is employed with Canadian National Railway. My name is Mario Laroche, I want to become your next regional representative. I have over 10 years experience in my union. I performed all tasks related to disputes positions I held . I am dedicated , honest and available. 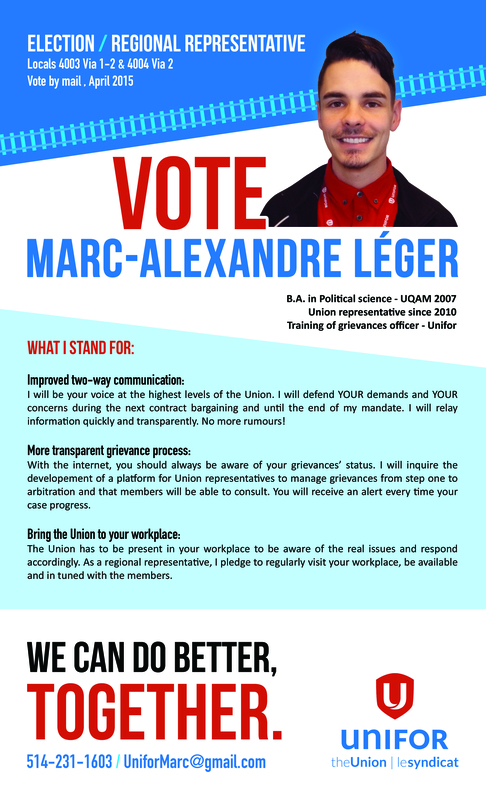 Vote for me is to ensure a strong union representation in your workplace. The voting for the position of Regional Rep will be upon us in the next few days. 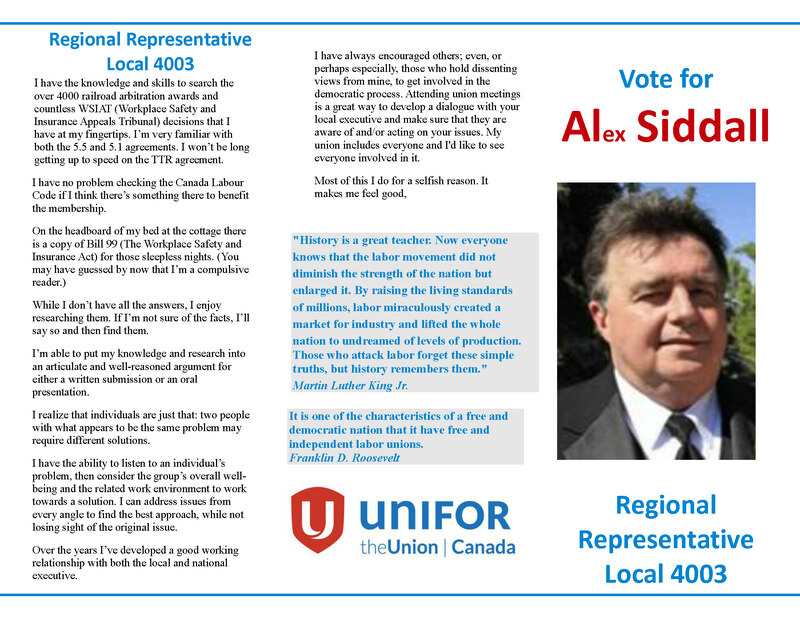 I am truly thrilled to say that I am a candidate hoping to be afforded the opportunity to represent the members of Local 4005. Growing up in a family very active in the Labour movement, allows me to understand the challenges, hard work, passion for helping people and dedication that this job requires. I believe that communication on all levels is extremely important. I am blessed with incredible support and am asking for yours now. 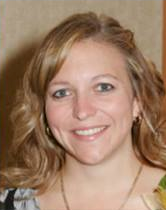 If you have any questions, please don't hesitate to email me at jennifercouncil4000@hotmail.com. Lou works at VIA Rail Canada in Halifax, Nova Scotia. My name is Zach Wells, and I am seeking your support for election as Regional Representative. I have been employed by Via Rail since 2004 as a Senior Service Attendant, Assistant Service Coordinator and Learning Coordinator. I came to the railroad after seven years with First Air Cargo in Nunavut, where I was a Cargo Services Attendant, Agent and Coordinator. I have over fifteen years of experience in CAW/Unifor transportation sector workplaces. I am presently Chief Shop Steward/Local Chair for Via Rail Agreement #2, representing Via's Onboard Services employees in Halifax and Moncton. This is, by far, the most grievance-heavy unit in Local 4005, so I have gained invaluable experience in representing employee interests in an unfriendly environment. Information concerning the election or ballots, including if you have not received a ballot in time to have it sent back by the May 1st deadline, please contact the Election Committee Chair Mario Nascimento by clicking here.